Another of my favorite days is right around the corner. Sure, it is snowing outside as I write this, and the temperature last night dipped well below freezing, but no matter. Easter is just a few short days away. Our house is always abustle with baking and crafts at this time of year, but our most favorite of all activities we find ourselves immersed in is dyeing those lovely little Easter eggs. 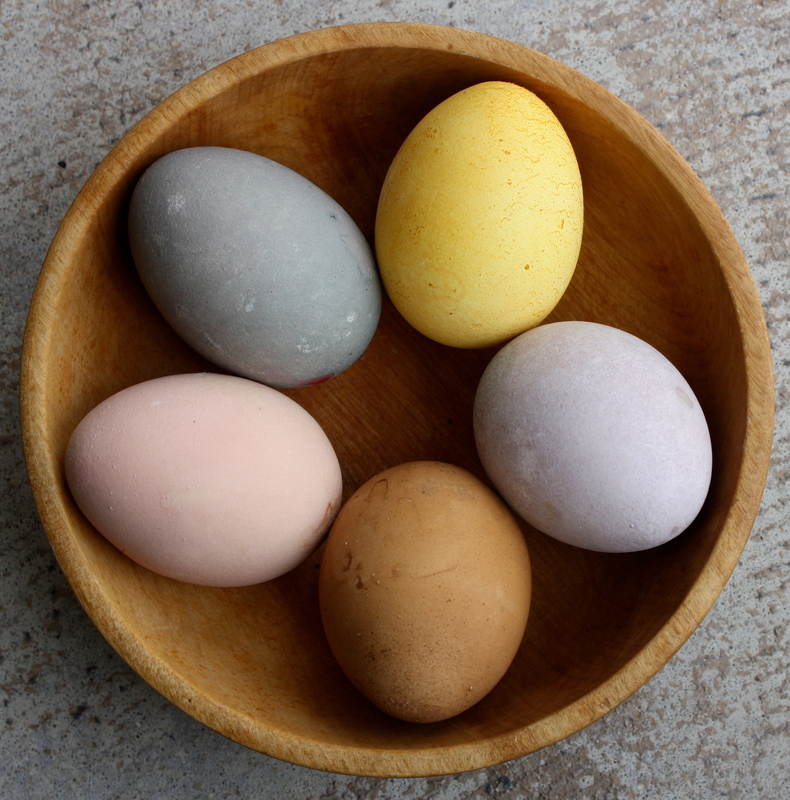 For the second year now, we have opted to use natural dyeing agents to dye our eggs, and let me tell you…If you have never dyed eggs this way, you must try it! The entire process leads to a day full of fun, and this year we were even glad to find ourselves in our toasty kitchen from all that steam the pots were kicking off. I mean it was twenty-five degrees outside. Oh my. There are many resources out there with a bunch of great ideas for natural dyeing agents. The book we used this year was Keeping Chickens: All You Need to Know to Care for a Happy, Healthy Flock by Ashley English. One recommendation I would give is to try to find organic white eggs to use with these natural dyeing agents. These are sometimes difficult to find, as it took me driving to three different stores before I could find some, but it is well worth it. Last year we dyed organic brown eggs and the colors did not pop as much as they did this year. 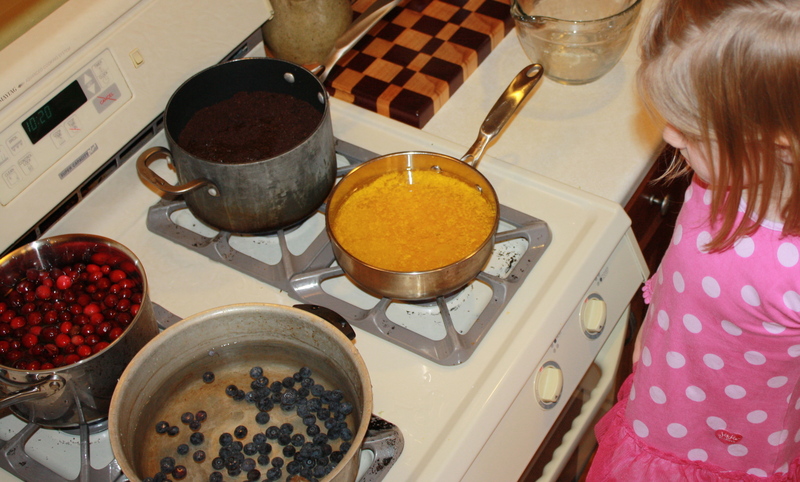 Just to give you a frame of reference, starting with the yellow egg and moving clockwise…yellow (turmeric), violet (cranberries), brown (coffee grounds), pink (beets), bluish violet (blueberries and blackberries). This entry was posted in Holistic Living, Sustainable Living and tagged Ashley English, DIY, dyeing Easter eggs, Easter, Easter egg, Easter eggs, eco friendly, food, holistic, holistic living, home, homemade, homemaker, homemaking, make, making, mama, mindfulness, mom, mother, natural, natural egg dyeing, organic, sustainable, sustainable living. Bookmark the permalink. 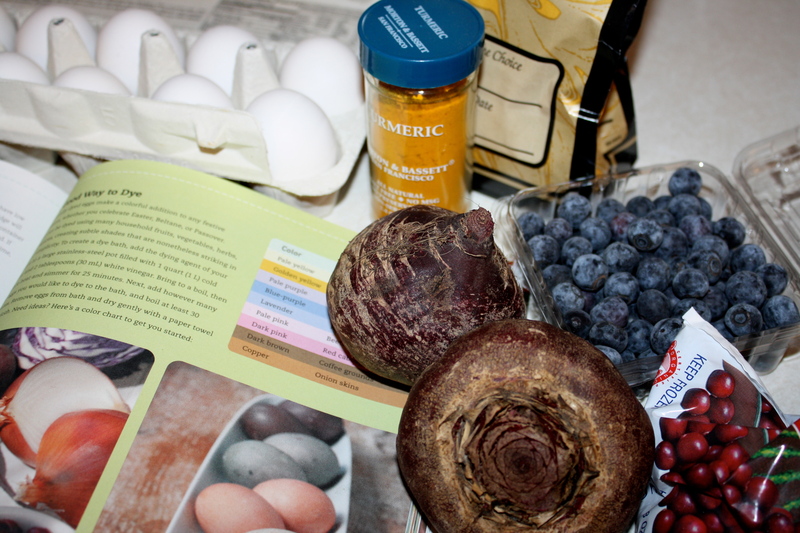 Do you boil the eggs in the ingredients, or boil the ingredients first to get a rich color. Cool. 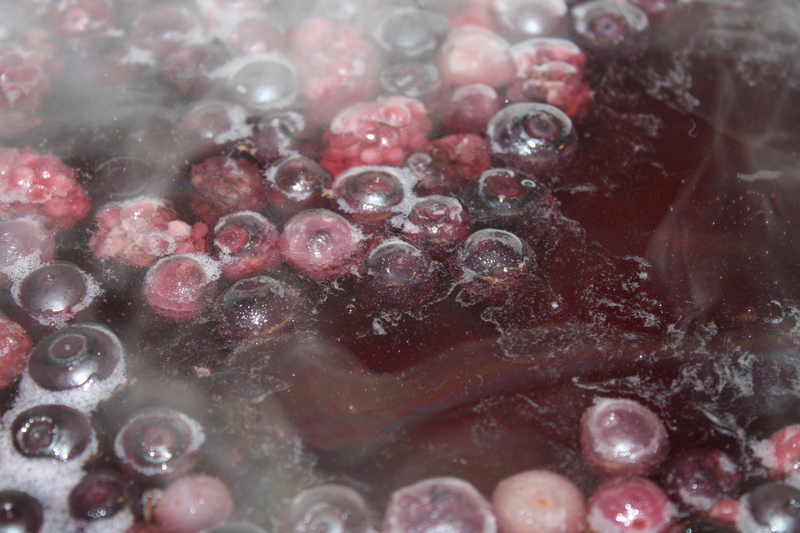 And, then dip the cooked eggs into the colors? Very lovely. 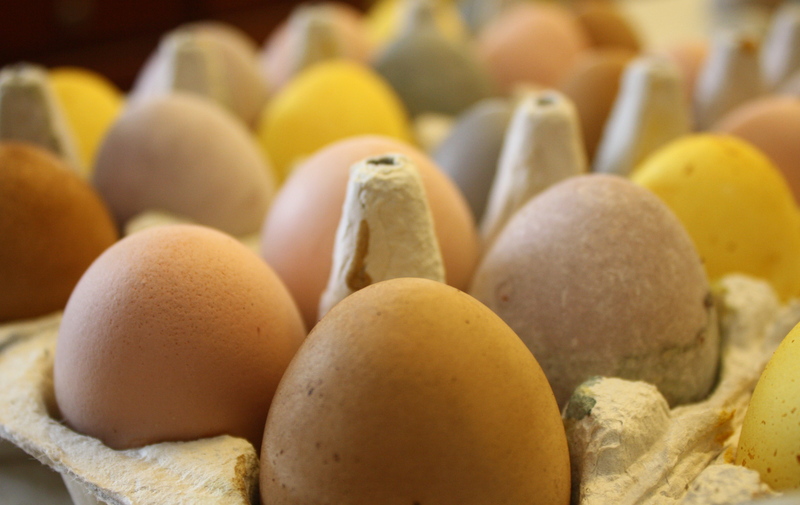 Those are some awesome looking eggs….I love the colors!! My son is home on spring break from Madison and I was showing him this post and he said you sounded like a really neat Lady! !